Hey guys! So in case you weren't aware, I've been breaking out like mad on my face for the last couple of months, since December, so when I received these Rodan + Fields Redefine products, I was intrigued. Rodan + Fields are the creators of Proactiv® Solution, America's #1 selling acne system. It was good that they labeled everything 1 thru 3, so it's a lot easier for people who are new to skincare to understand. They have the Daily cleansing mask, pore minimizing toner, triple defense treatment, and the overnight restoration cream. I was also surprised that I got the acute care skincare for expression lines. Now I personally don't have wrinkles near my eyes, but this is a good thing to have around, when you are hitting your late 20's and don't want to get wrinkles when you are in your 30's. There were directions of how to apply everything to your face. When I first saw the acute care products, I was unsure where the directions were at. I kept thinking that it would be on the individual products, but my friend pointed out that it was on the back of the box. The mask was watery, and the directions say to apply a quarter size amount onto your face. What I would suggest is not to put all of it on, work it out by applying pea sized amounts onto your face. 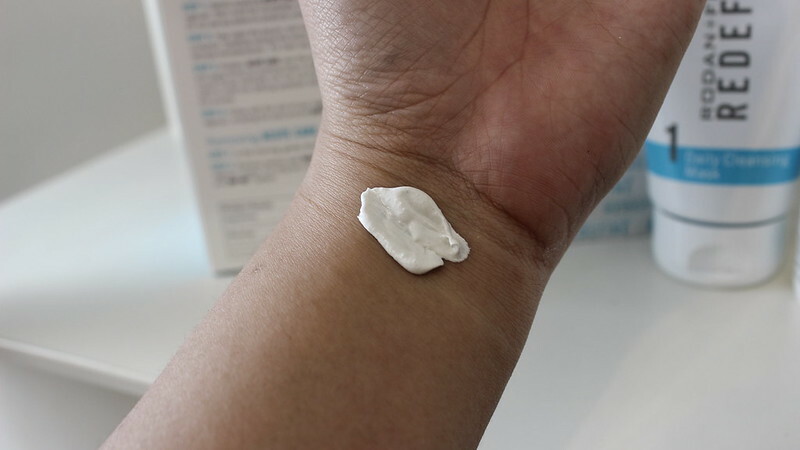 I put the mask on my forehead, chin, cheeks, and then nose area, in small amounts so that way i don't lose any of the product when I'm applying it (the first time, I didn't realize how runny it was, and I accidentally dropped some on my shirt, thankfully it was easy to wash off). 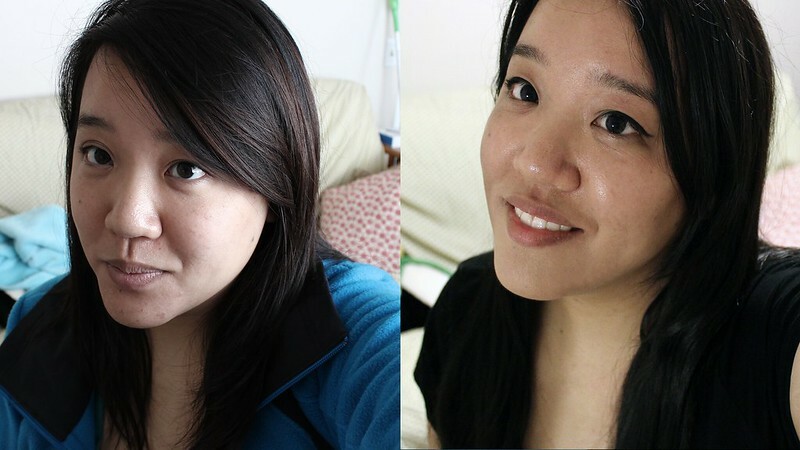 Before and after picture of how Rodan + Fields worked for me. I don't know if you can tell, but my skin before was red, and flakey (mostly on the chin area) on my face. Though afterwards my skin looks clear, and dewy. 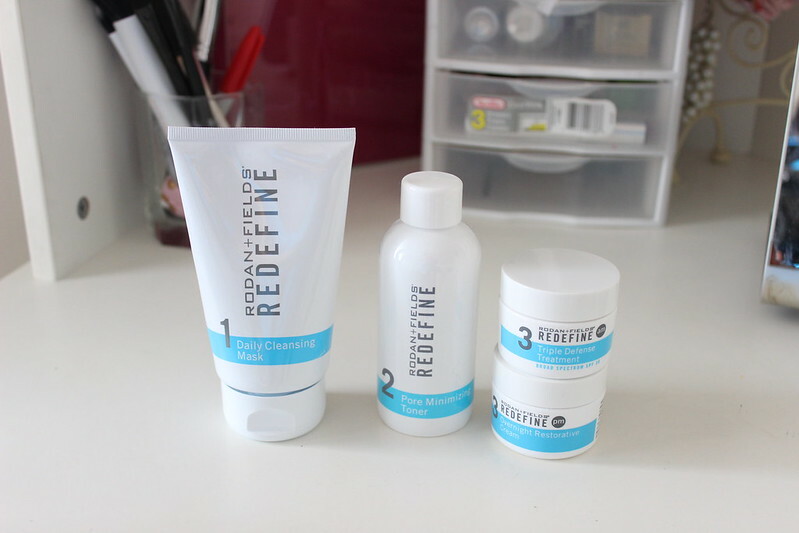 Overall I would give the Redefine line a 5 out of 5 stars, because it cleared my skin, and made me feel more confident to go without makeup! 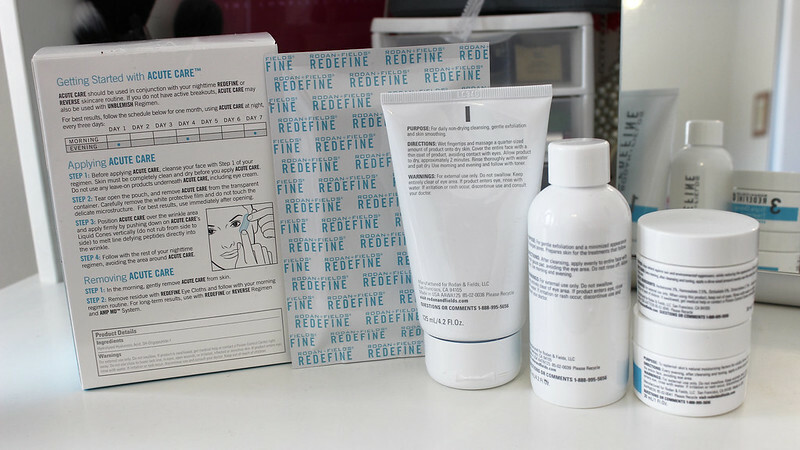 Would you try the Redefine line? I just started on prescription acne medication a couple of weeks ago, as well! I think if you wanted to, you can incorporate some of these products into your routine! This does look good, had not heard of them. Yes it is hard to tell with a product right away, I think you need to use if for a few weeks to a month to be sure. I agree. It's always important to try out new products for a couple of weeks, to see if they end up working!